SUN VALLEY, IDAHO — Mountain peaks pierce the sky like emerald pyramids as we weave through Idaho’s Sawtooth National Forest, more than two million acres of gorgeous green that’s home to Baldy, one of the Smoky Mountains’ highest summits. 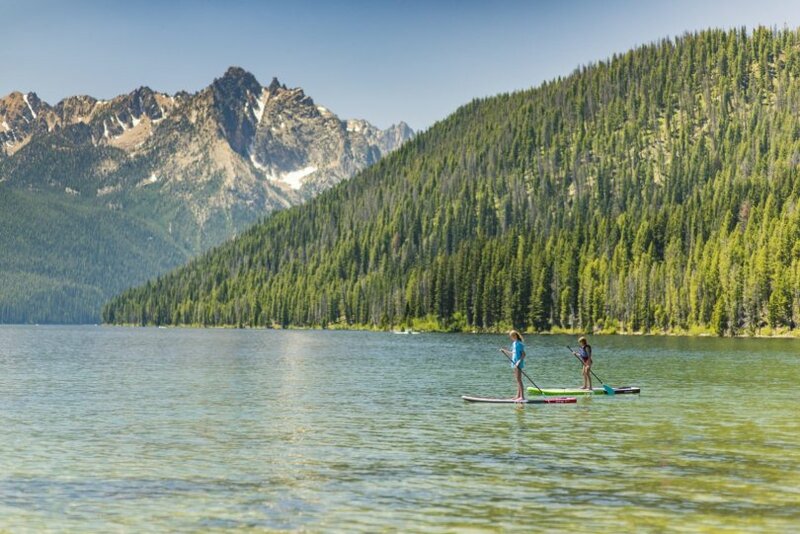 After spending a day discovering the hipster comforts of Boise, we’ve driven three hours east to this massive wilderness, where the blue sky is free of clouds and mountain goats scale the golden granite, for a late summer getaway. Sun Valley is the posh resort area that includes Ketchum and Hailey, towns that Bruce Willis, Tom Hanks and other Hollywood elite call home. To wrap one’s head around how much nature is here — and just how deeply your soul will surrender to it — crunch the numbers: The region is home to more than 1,000 lakes, 3,000 miles of rivers and countless mountain trails and equestrian routes. There is so much to do in the summer, you almost forget about the world-class skiing that’s defined Sun Valley since 1936.